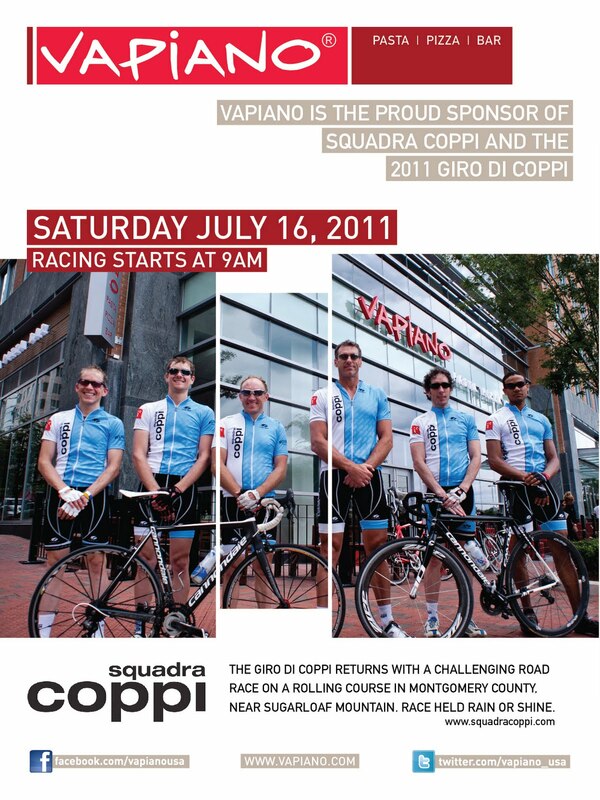 Vapiano, a restaurant bringing a European flair to fresh casual food, has garnered the coveted position as title sponsor for the 2011 Giro di Coppi. 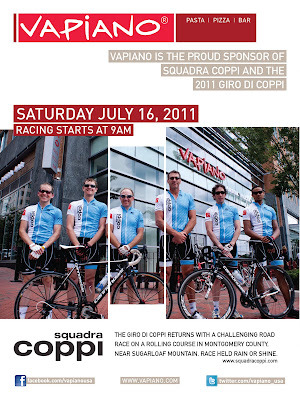 Local bike racing team Squadra Coppi puts on the Giro di Coppi. This year the races will occur on Saturday, July 16, near Sugarloaf Mountain in Montgomery County, Maryland. Vapiano has a location in Ballston. Residents of Rosslyn are hoping that Vapiano will open another restaurant in Rosslyn so that Rosslyn residents will have a shorter bike ride to a fast, wholesome dinner.